CPP KAY GALVEZ: Si Duterte ang may gusto ng Nationwide Martial Law, hindi kami! Si Pangulong Rodrigo Duterte ang may gustong ipatupad ang nationwide Martial Law at hindi kaming mga komunista. Ito ang wika ng Communist Party of the Philippines. Ito ang naging statement ng CPP matapos silang akusahan ng Armed Forces Chief of Staff, Carlito Galvez Jr. na sila raw ang nagiging rason kung bakit mapipilitang mag-deklara ng Martial Law si Pangulong Duterte upang sila ay mabigyan ng pagkakataon na magtipon-tipon at mapatalsik ang Pangulo. “At worst, the claim demonstrates the Armed Forces' willingness to perpetuate and even repeat the myth of the Plaza Miranda bombings which [President Ferdinand] Marcos used to justify imposing martial law nationwide in 1972. 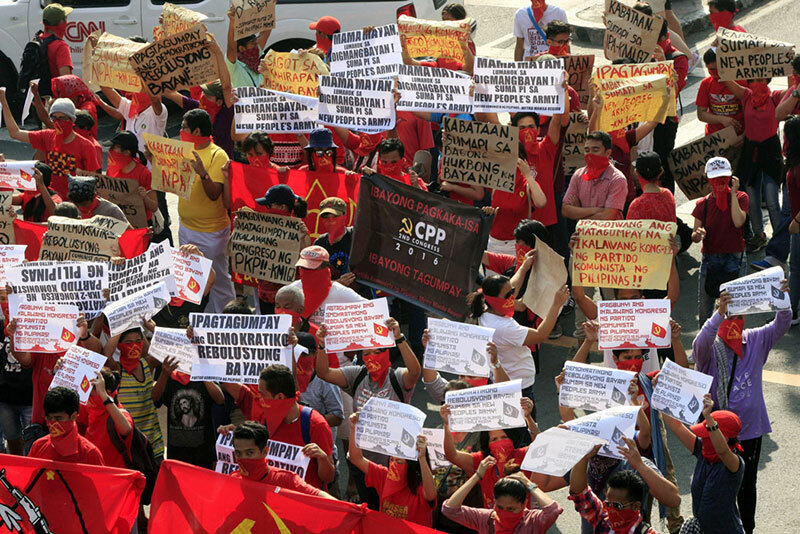 Again, there is no Red October plot orchestrated by the CPP. To now claim that the CPP will create chaos supposedly like in Plaza Miranda to force Duterte to fulfill his most ardent wish, is, at best, lazy and clumsy,” wika ng grupo. “Why should the CPP push for martial law nationwide when it has repeatedly condemned and called for the lifting of martial law in Mindanao? Why should it push for something which has relentlessly inflicted atrocious crimes on the people?” dagdag nito.